Me: What comes to your mind when I say Vegas?? Person B: Nightlife, Shopping, Dining. Me: Wow!! Vegas is called as Entertainment Capital of the world for a reason. It was around 8 PM, We were on our way to the hotel and I could see colorfully lit up street filled with the happening crowd through my car. While I was involved enjoying the sight, I heard a familiar voice YES!! We are at the world famous strip. Strip (around 6 KM/4 Miles) is a stretch of themed resort hotels like New York, Eiffel Tower Paris, Venetian Canal, Egyptian Pyramid, Bellagio and more. These themed hotels are open 24/7. However, most of the crowd is seen during the night which is when strip looks spectacular with vibrant lights, Fountain, Costume walkers. But then roaming around these streets during the day is fun too. Some people prefer to explore the strip during the day. 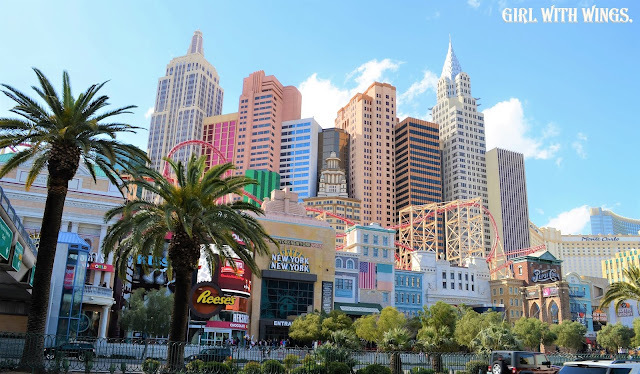 Especially when you are on a trip with kids make sure you visit strip during the day so that kids can roam around free without much of crowd intervention and also they will get to enjoy views of Disney, New York, M&M's world as much as they can. Well, that is not it. 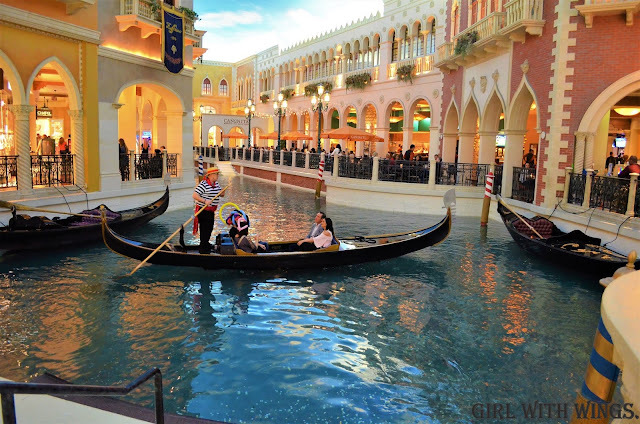 There is more to Vegas than just strip and nightlife. Explore Fremont street, Go see celebrity wedding chapels(I heard that most folks have a fantasy to get married in one of these Vegas chapels), You get to see and experience crazy yet terrifying rides at Stratosphere, Go on a romantic ride and enjoy the view at High Roller, Do something fun and adventurous(Freefall, Zipline, Hot air balloon, Skydiving), Attend a concert, Spend some time at amazing museums, Take a trip to Grand Canyon, Drive to Hoover Dam. Fremont street is one of the famous streets of Vegas after strip. On Fremont Street, You get to experience the stage shows/concerts at free of cost. 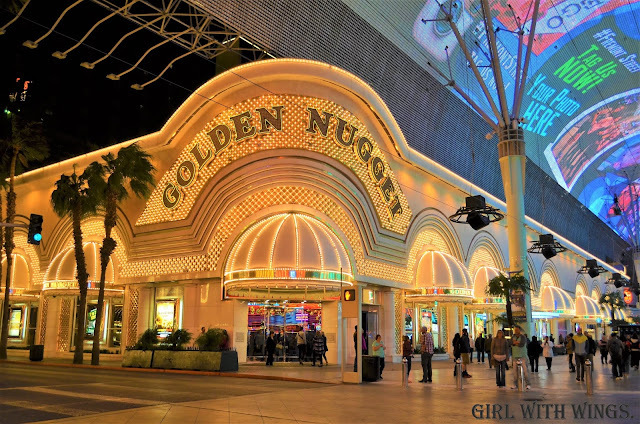 Get in Golden Nugget, Go on a thrilling zip line, Taste luxurious delicacies at the restaurants. High Roller/Observation wheel is located at heart of the Vegas Strip. It is a slow-moving ferry wheel ride with an optional bar choice. It takes around 30 mins to complete a single revolution. You can enjoy your drink with your loved one and also get an eagle view of Vegas city. 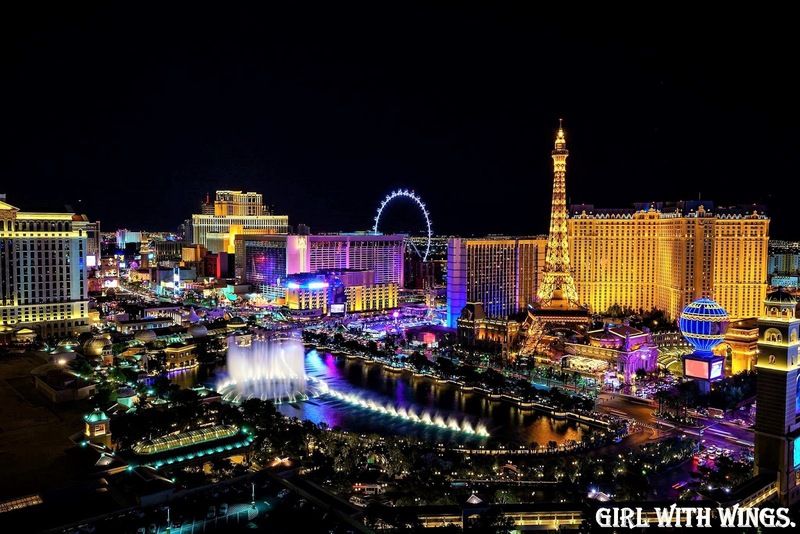 Did you know, Las Vegas is also known as Marriage capital of world?? It is because of the ease of acquiring a marriage license at very minimal cost. I heard most of the couples fantasize about getting married in Vegas. In fact, You see quite a lot of articles about celebrities who got married in these famous Wedding chapels in Vegas. 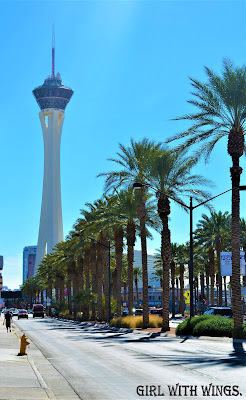 The stratosphere casino hotel tower is located in between Downtown and Strip. 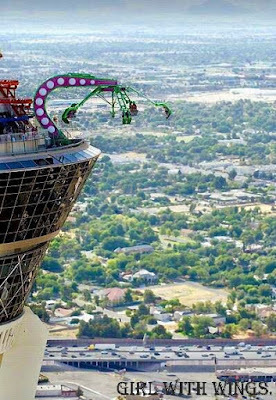 Unlike other casino hotel resorts stratosphere has a Pool, Observation deck, Sky fall/Sky jump and Thrilling rides. Hoover dam is Arch Gravity dam located in between borders of Nevada and Arizona. It is approx 30-45 minutes drive from Vegas. The other interesting and coolest part of our Hoover dam trip is that I was able to stand in two different time zones(Pacific and Mountain) and two different states(Nevada and Arizona) simultaneously. Grand Canyon National park has years of history. It is one of the best natural wonders in the world. You will be surprised to see how beautiful these blocks of layered soil is. The views of these huge ancient rocks are just breathtaking. Grand Canyon is around 4 hours drive from Vegas. You can either take a helicopter tour, choose bus tours or you can drive like we did. In fact, we planned our trip to grand canyon via the hoover dam and covered both of these splendid places on the same day. 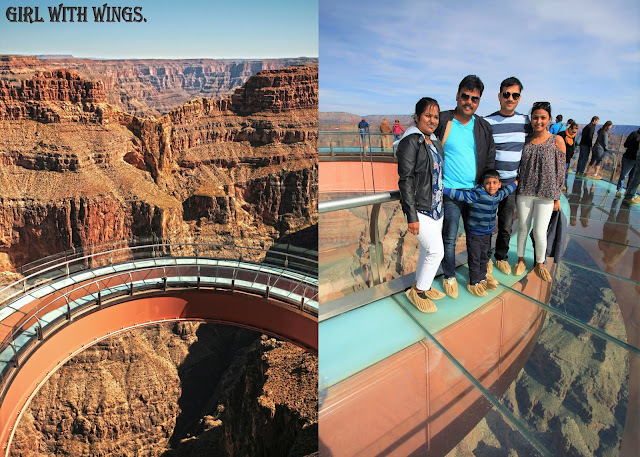 Apart from breathtaking views, Grand Canyon is famous for horseshoe-shaped glass walkway located 4000+ feet above ground level. I was head over heels to experience Glass Sky Walk. Got entry tickets and stood in the queue waiting for our turn. Once I stepped on glass walkway, I could see the ground level in-fact it felt like I was walking on clouds. Make sure you wear comfortable shoes and be careful when you are rock hoping because there is a chance you can get your angle strained like i did. Yes!! you heard that right, i got my angle strained on the second day of my Vegas trip and i could not move an inch because of the pain so we rushed to local pharmacy store got some painkillers, hot wraps and i was on roll. There is this famous quote: "What happens in Vegas stays in Vegas." But, Then i shared most of my journey and trip-ventures with some soulful people like you. Hope my blog inspires you guys to travel around the world. 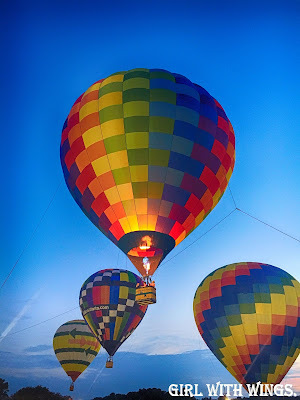 Balloons Over Fayetteville was a fun, family-friendly event that featured tethered Hot Air Balloon Rides, an amazing after dark Balloon Glow, Arts/Crafts, Local Food Trucks, Play area for kids and much more. 1. Ballooning is an ancient concept and It is extremely popular in Chinese history. 2. Not humans but sheep and duck were one of the very first passengers of Hot Air Balloon. 3. Observation balloons were used during both the world wars. Unlike how today's generation(yes that includes me) assume hot air balloon as just fun ride and part of their bucket list, Isn't it fun to know how this ballooning concept was put to use over the centuries?? Now that we all have a rough idea about its history, Let me walk you through my experience. You guys, I can't express how fascinated I was with these giant and beautiful floating airbags. I have been wanting and waiting to experience this adventurous yet romantic ride for almost year now and finally, the day is here!! As we drove across the community I could see giant and colorful balloons across the road. Just the view of it awakened the kid in me and made me excited and thrilled. It was past 7 in the evening, Nice weather and there was a tiny queue for the rides and finally our turn. Rising smooth and up in the air, within a few seconds we were in between land and clouds. Calmness around us was intervened with occasional burner noise/effect and the passing cloud view from the balloon was spectacular. Our pilot was quite outgoing and friendly in fact he cracked few jokes here and there. 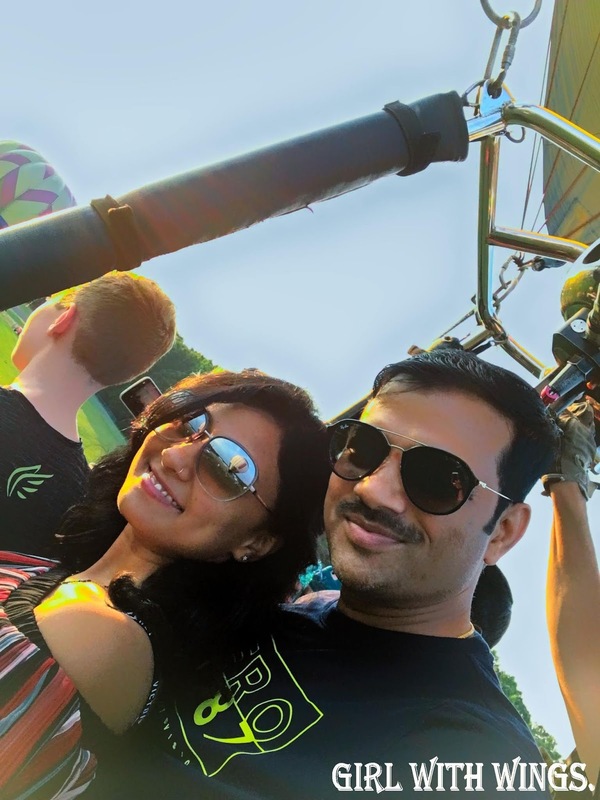 We were very much involved in enjoying the peaceful balloon ride that we almost forgot that it is time to land. Since the weather was awesome there were not much of bumps during landing. The landing was smooth like our ride. Within a few minutes, we were done with our Hot Air Balloon Ride. It was one of the splendid experiences I have had so far. Can't wait to experience something like this all over again. Once we were done with our ride, We stayed back to enjoy after dark balloon show. 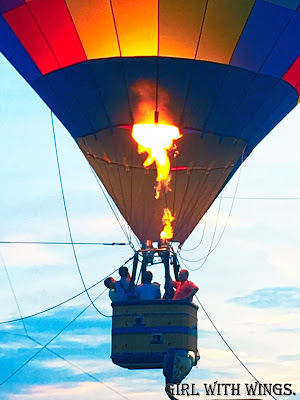 After dark balloon show/balloon glow is a special activity which offers the crowd a spectacular combination of fire, colors, and music. Visually hot air balloons look just like huge Chinese lanterns spread across the dark sky with some background music. We enjoyed every bit of the night glow event while relishing the delicious food from a local vendor. Since this is my first post, let me share the first out of norm International trip my BFF and I took a few years ago. Well, It was a regular working day and I was sitting at my cubicle with my usual taught of quitting the job and traveling across the world (which by the way is the dream of most of the IT/Corporate Employees). Who comes to rescue when you have such taught?? Of course your group of friends. BFF: Okay fine. No more drama!! Away from the hustle-bustle of our daily life, we are here in Langkawi, Malaysia to witness and make spectacular memories for life. While strolling around the streets of Langkawi we interacted with locals and made a to-do list for our-self. Though we had difficulty communicating(Most of them do not know English) we were able to understand each other through our gestures. People seemed friendly and outgoing, In fact, we were offered snack while they gave us an insight of do`s and do not`s while in Langkawi. Eagle square or as locally known Dataran Lang is located in a Kuah, Langkawi. 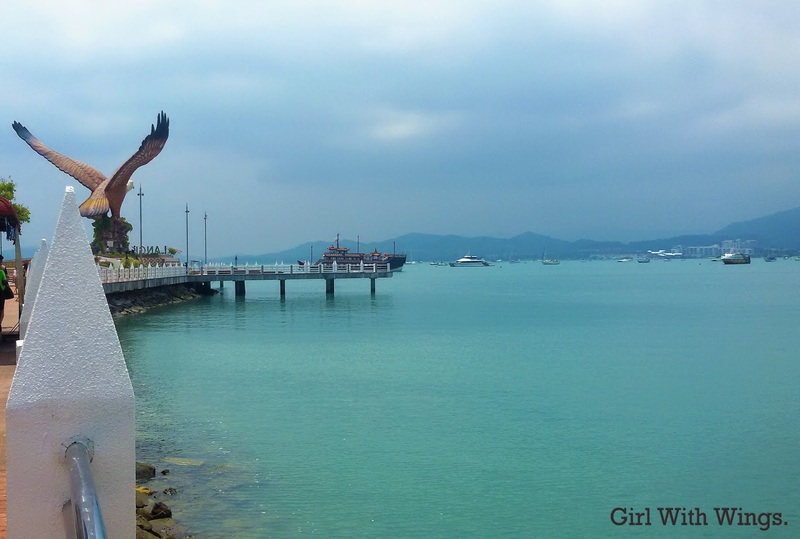 As you walk through the spectacular bay, Beauty of 12-meter tall eagle sculpture located on a deck welcomes you. This man-made statue facing a vast, blue sea with a stunning backdrop of mountains looks spectacular. You can enter this place anytime and it is absolutely free. Due to the temperature, Personally, I would love to go either in the morning/evening and take a peaceful walk around the bay enjoying the beautiful landscape and clicking as many photos as I can. Langkawi legend park is locally called as Taman Legenda Langkawi. It is an informative, folklore themed park located near eagle square Kuah, Langkawi. This beautiful park spreads over an area of 50 hectares of land with a total of 17 sculptures depicting legends and myths about Langkawi from prehistory until modern times. The Gondowana stone wall located at the entrance of the park shows the formation of Langkawi Island from plate tectonic movement(Earths Movement). As you walk through this meaningful entrance you will see the beautiful and romantic pathway divided by a stretch of lush, tall trees. Park is open to the public from 9 a.m to 6 p.m with an entry fee of 5.RM. In the midst of all these sections, there is a place where you can touch and feel the python. If you are adventurous like my Bff and me, you can request the instructor to place the snake around your neck and take a picture. Apart from all of this aquarium also offers a wide variety of programs suitable for children, as well as programs for higher education and professional teaching development. Sky bridge is a curved suspension bridge high in the sky located 660 meters above sea level. 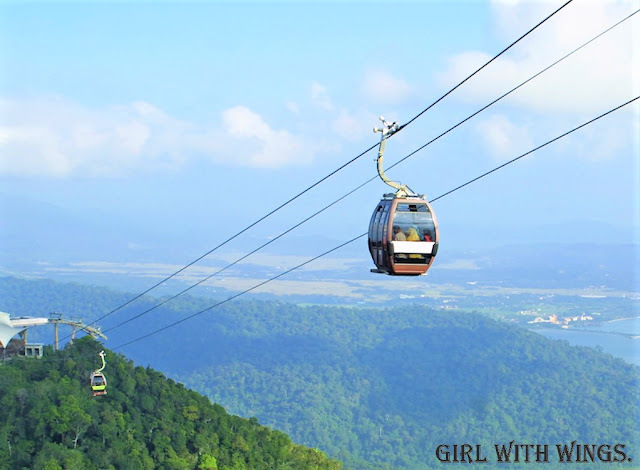 You need to take the cable car from oriental village to reach The Langkawi Sky Bridge. Once on top and walking over the bridge, I was able to see the entire island and I was completely mesmerized by the breathtaking views it offers. Skip sky bridge only if you are traveling with kids who are scared of heights otherwise, it is one of the must visit places. We spent our evening relaxing at the shores with delicious food and amazing people we met in Langkawi. Cable Car to reach Sky Bridge. We reached to Airport after delightful breakfast, for our next journey towards the capital of Malaysia, Kuala Lumpur. Kuala Lumpur(KL) offers abundant tourist attractions like Petronas Twin Towers, Batu Caves, Street Flea Markets, KL bird park, Museum. 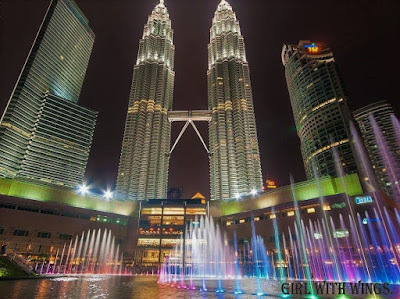 The city offers various day or multi-day tour packages you can choose from, We did our research and booked a day tour from a local travel agent which covers pickup and drop from the hotel, admission/entry fee and tour guide to Petronas Twin Towers, Royal Palace, National Monument and National Museum. Petronas which consists of 88 floors is the worlds tallest twin skyscrapers building. Except for the base of the towers, Both tower 1 and tower 2 is occupied by major companies like Petronas oil company, IBM, Microsoft, Reuters and more. Petronas Twin Towers during the night, Kuala Lumpur. My eyes were stuck at twin towers as we drove and as we came closer, I was completely awe-struck by the amazing talents involved in succeeding this Islamic themed architectural beauty. Tower offers an observation deck on the 86th floor to enjoy panoramic views and Double Decker Sky Bridge which connects two towers located at 41st and 42nd floor(two stories tall). Our tour just included the entry to Sky Bridge and we loved it. The view from 41st and 42nd floor was spectacular. If you guys want to experience sky bridge and also the observation deck I would suggest you book tickets in advance so you can skip the long lines for purchasing tickets, saving time and hassle. Before you are done with twin tower tour, you get to look around as much as you like and enjoy high end shopping at KL Suria Mall located at the base of these towers. Besides Twin Towers, you can stroll around spacious and beautifully landscaped KLCC park which features trails, a pool, and a fountain. I was told this short break to Cocoa Center is usually included in most of the tours because of the commission involved. However, I liked spending time in this shop as I got to taste and buy Malaysian style white coffee. Although I am a vivid chocolate lover, I did not buy a thing here except for white coffee because of the expensive price tags (yes they sell everything at a higher cost). Kings place was built in 1928. since then it is been renovated to become the palace of his majesty which in turn was brought by the federal government to provide royal shelter for The Malaysian King. Entry to the palace is restricted, The main entrance is guarded by 2 guards dressed in British uniform. Each guard and their horse is provided a tiny room/shelter located at the two edges of the main gate and it is constructed to protect guards from the weather. Even though we were not allowed to access the inside of the palace, The view from the outside with those horses and guards looked very royal and stunning. Photography is not prohibited so you can pose at the gate or right next to these guards and click as many pictures as you would like. The National Monument is a sculpture that was built in honor of those who died in Malaysia's struggle for freedom. Every year on 31st July the Prime Minister, heads of the military, and the police pay their respects to the fallen heroes by laying garlands at the monument. The sculpture that stands as a centerpiece of the monument is 15 meters (49.21 feet) tall, made of bronze and this historic sculpture has made its place in the book of records for being the tallest freestanding bronze group sculptures. It is located at a walking distance from lake gardens KL and it is open to the public from 8am-10.pm. National Museum is a 3 story building located close to National Monument and Lake Gardens. Museum has four galleries allotted to ethnology and natural history. The displays range from free-standing pictures showing cultural events like weddings, festivals and costumes to traditional weapons, musical instruments, arts and crafts, ceramics, and flora and fauna. This guided trip to the museum was one of the best ways to explore/learn about Malaysian history and the culture they follow. We were dropped off at the hotel once we finished our day trip. 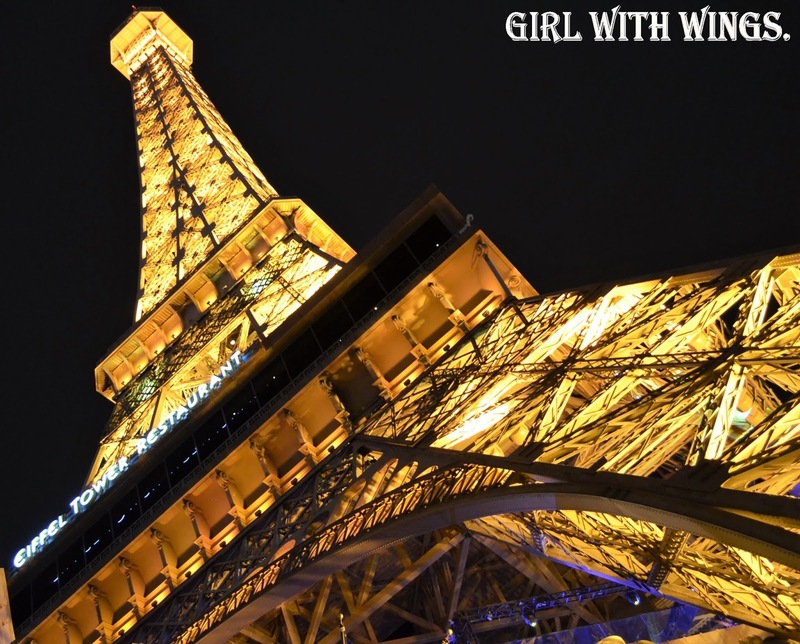 While we were still in the awe of the experiences we had so far, We headed out to experience the vibrant nightlife city offered and I must say it was incredible. A fellow traveler was impressed about our impromptu journey and wanted to tag along so we met him at the hotels breakfast dinning and came up with a plan for next three days(Day 1: Batu Caves and Street shopping, Day 2: Genting Highlands, Day 3: Sunway Lagoon and more). Day 1: Batu caves and street shopping. 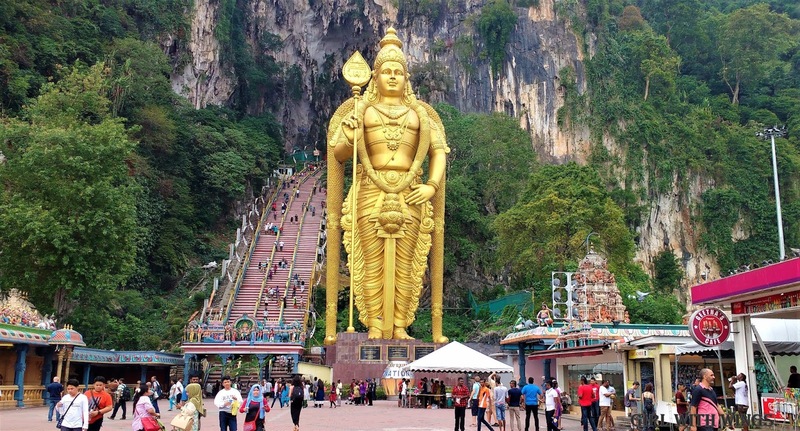 Batu Caves is one of the oldest and most visited tourist places in Malaysia. Limestone forming Batu Caves is said to be 400 million years old, This ancient hill is home for multiple caves(small and big) and Hindu temples. You will be welcomed by 140 feet tall gold statue of a Hindu deity called Murugan before you start your journey towards 272 steps which takes you to the limestone cave. As we entered the cave it was so cool and peaceful that my mind, body and soul felt light and refreshing. There are multiple temples in the cave and you get to witness how beautiful Hindu traditions are. Hindu Deity statue at Batu Caves, Kuala Lumpur. Took the train to Central Market as we wanted to explore local markets and experience street shopping at China Town/Petaling Street. 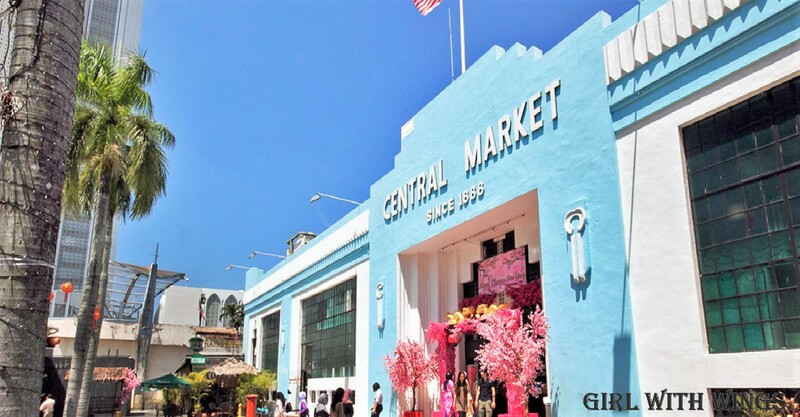 Central Market and China Town are located at walking distance from each other. Both these places are must go if you are a shopping spree just like us. Central Market is located in this building called Pesar Seni which has been around for a very long time. 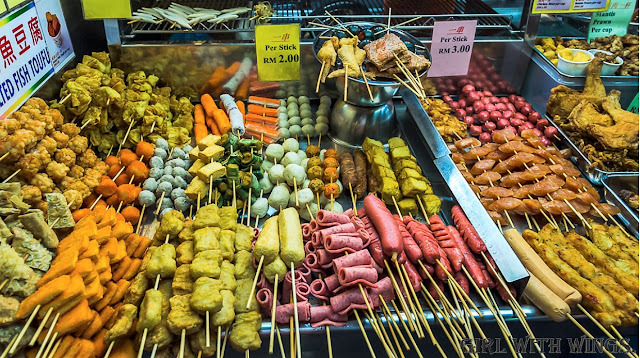 As soon you enter this closed market you will notice the stretch of shops arranged based on different race and cultures and you will realize, Malaysia is home for multinational(Chinese, Indian, Malay) cultures. You can shop/purchase accessories, wood carvings, hand crafts and many more. Not just shopping you can even get a Physic/Tarot readings for yourself and in the midst of everything if you are tied you can get yourself a relaxing fish pedicure and fill in your stomach with food from local stalls located in the market. Once we were done with our shopping and fish pedicure, We were on our way to experience China Town. China Town is a very busy place be it a day or night The hustling and bustling never stops. China Town is home for all sorts of counterfeit items. You can buy clothes, jackets, hand bags, watches anything and everything from brands like Nike, Louis Vuitton, Adidas and keep in mind you get products for less if you show case your bargain talent and come to an agreement with shop keepers. As you walk further you will find multiple sidewalk vendors, push carts with delicious and mouth watering street food, we were involved in indulging the rest of the night at the market. Street food at China Town, Kuala Lumpur. Genting Highland is a pleasant, Frosty hill station located an hour away from KL. It is famous for indoor and out door themed parks, cable car rides. There are buses from KL to Genting Highland every hour but i would suggest you guys to check the departure and arrival timings before hand or if that is not possible at least buy return tickets as soon as you arrive because there are chances that they cancel the buses due to unknown reasons and there is high demand for bus tickets so chances are you may not get one(We had to wait 2 hours(Till 11 PM)for the next bus to depart). Got off at the bus station and took a local train to our hotel, We spoke about how safe Kuala Lumpur/Malaysia is as we walked towards the hotel. Sunway lagoon is a themed park located around 10 miles away from KL city center. Park offers plenty of water activities, Fun Rides, Adventurous activities and more. 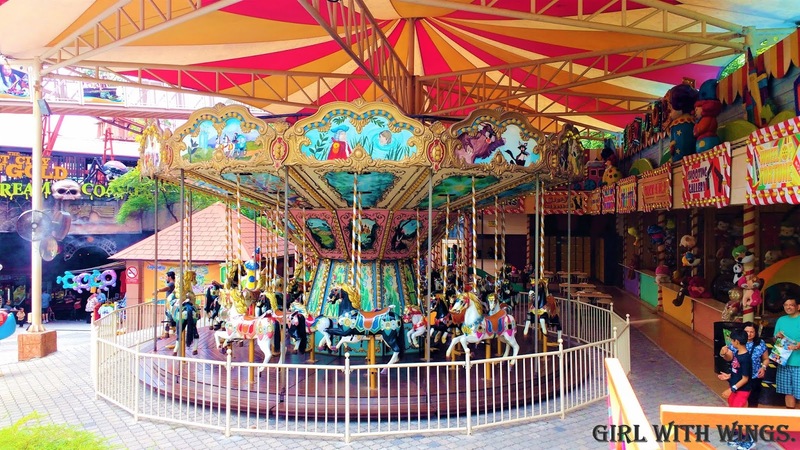 Sunway lagoon is divided into multiple zones like Scream Park, Amusement Park, Wildlife Park and Water Park. Fun rides at Sunway Lagoon, Kuala Lumpur. We also got a chance to cover Merdeka Square, National Mosque, KL Bird Park, Butterfly Park and more. We were back at Bangalore International Airport next day. Although we were heading back to our monotonous life our soul was cheerful and at ease, because we carried home not just the things we purchased but the beautiful memories that we will treasure for life. Going on an international trip with my girl best friends was in my bucket list for a while now and i am glad life gave me an opportunity to tick it off.